The increase in technology we have seen over the years has been shown the most in one main areas- mobile ability. Mobile technology have increased immeasurably over the past decade, and that is no different in the world of office machines. Companies like Xerox have made mobile technology a necessity in their newest and best machines to make your office more efficient than ever. Mobile office technology from Xerox is one of the best ways to bring your office into the 21st century. Xerox has seen how much more efficient your office can be when you are connected. We believe in getting more work done, smarter, and quicker than before. The number of mobile features increases all the time and only makes your office that much more efficient in the modern workplace. 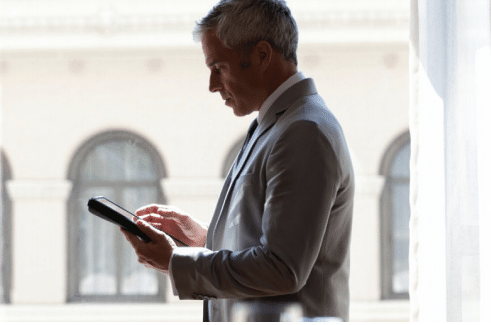 Mobile technology is what your office needs to be more connected than ever. No more waiting to show your colleagues what you recieved in an important meeting. Just print it directly to the office for anyone there to grab and read. Mobile office technology from Xerox will take your business to the next level of productivity. Come see our great staff at Denver Copier to learn more about getting a great Xerox office machine with the best mobile technology.